Some Blogger Blogspot templates support Blogger Template Designer. This feature of template will help you customize the look of your blog easily without touch to code. 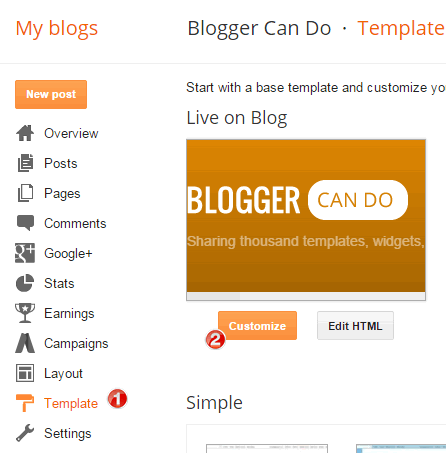 To access Blogger Template Designer, just login to your blog dashboard, and then choose Template. In Template page, click Customize button. In Blogger Template Designer page. You will see some main options on the left column, sub options on the middle column and detail option on the right on. Depend on your template code, some or all options will be supported. 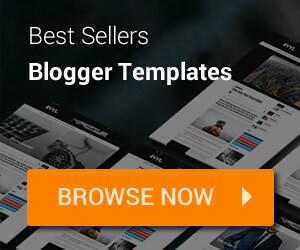 Templates: used to change to official templates of Blogger. Background: change or upload background image and also change key color of site. Adjust widths: drag to increase or decrease width of columns of your site. Layout: change layout for sidebar, body and footer. Advanced: change colors, background colors, fonts and you can also add Custom CSS. After changed something, click Apply to Blog to publish your new settings.